As BJP leaders including Prime Minister Narendra Modi throw several ‘casualty figures’ of IAF’s Balakot strike, Mika Aziz suggests political parties are politicising the issue ahead of the Lok Sabha elections. 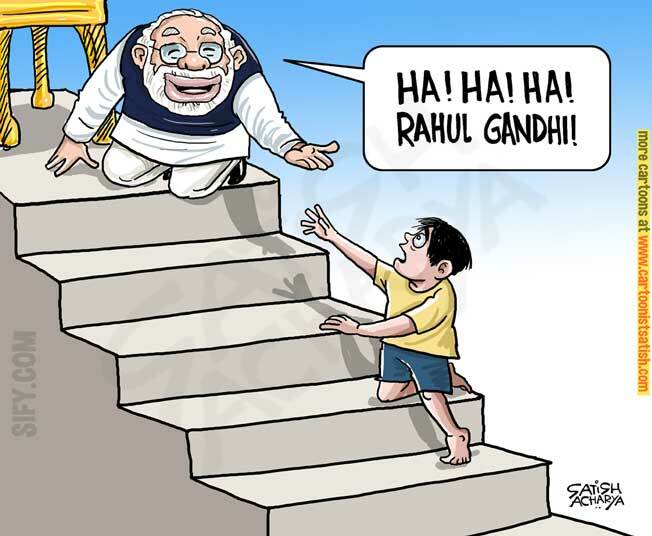 Satish Acharya takes a dig at PM Modi for his ‘insensitive joke’ on people with dyslexia during an interaction at the Smart India Hackathon 2019. Modi alluded to Congress president Rahul Gandhi when a young student posed a question about dyslexia. 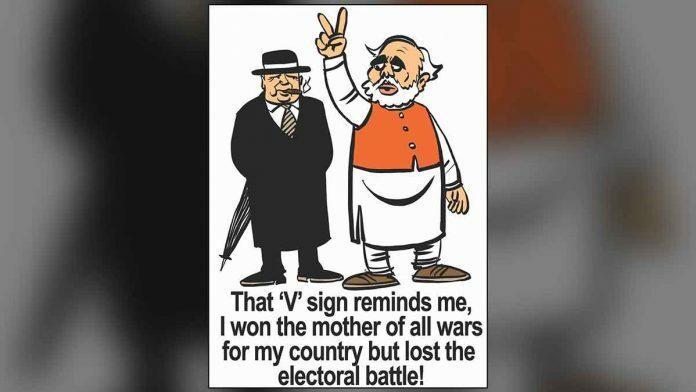 Referring to British Prime Minister Winston Churchill’s electoral loss despite ‘victory’ in the Second World War, R. Prasad suggests PM Narendra Modi might be headed for the same result after IAF’s Balakot strike against a Jaish-e-Mohammed (JeM) camp. 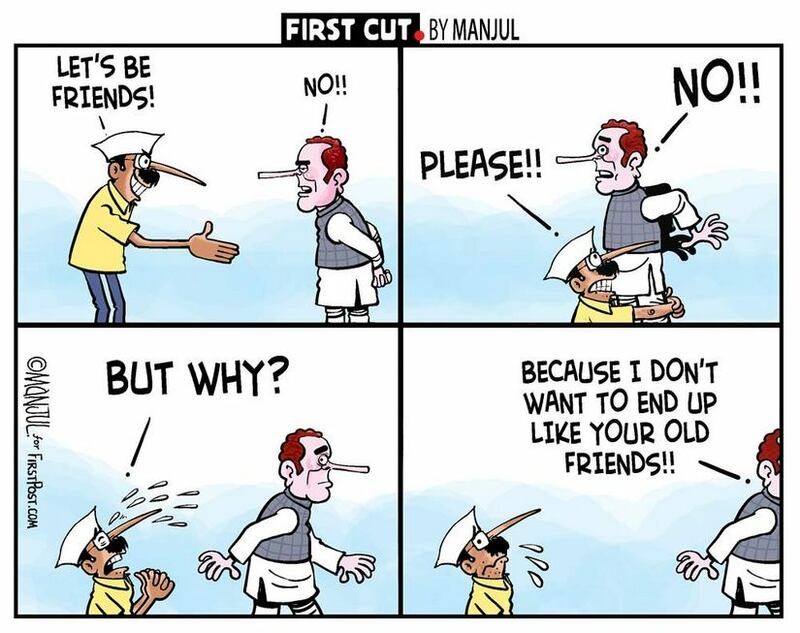 With Congress refusing an alliance with Arvind Kejriwal’s Aam Aadmi Party for Lok Sabha elections, Manjul illustrates what Rahul Gandhi’s reservations could possibly be. After talk on social media started about a Nobel Peace Prize, Pakistan PM Imran Khan quickly said he is not worthy of it. Manjul takes a jibe at the Pakistani premier who might have been hinting at terrorists like Hafiz Saeed and Masood Azhar when he said the award should be given to someone working on the Kashmir issue. 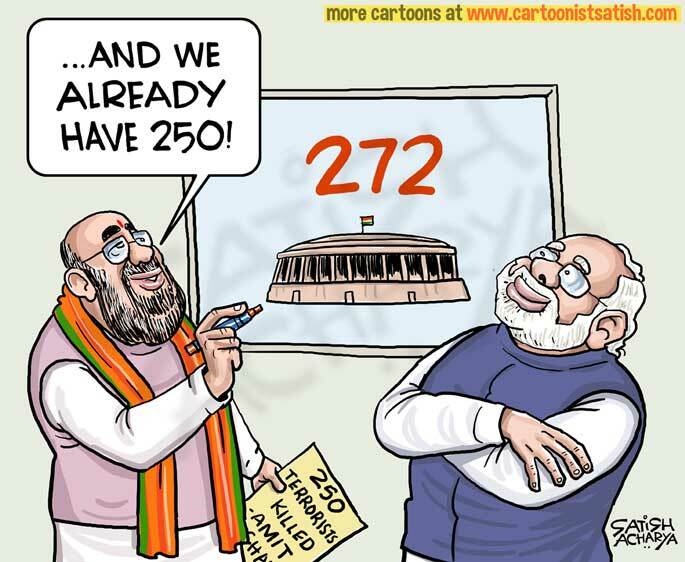 Satish Acharya highlights PM Modi and BJP president Amit Shah’s plan to win 272 seats in Lok Sabha with ‘250’ already won. 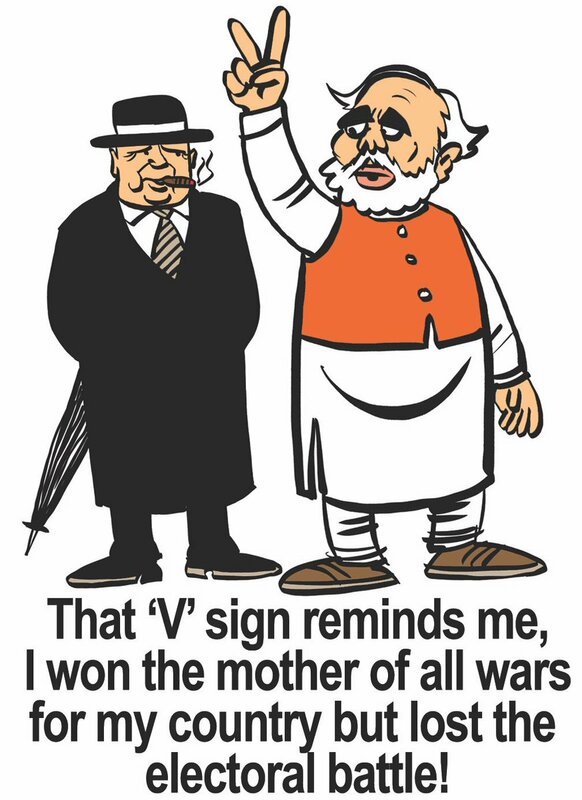 The cartoonist is taking a jibe at Shah’s recent claim that 250 terrorists were killed in the Balakot strike. 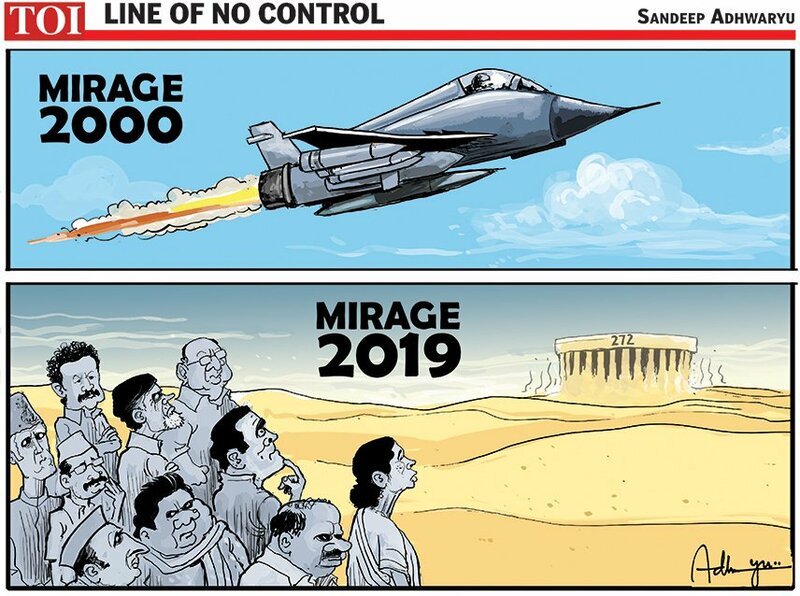 Sandeep Adhwaryu suggests that with IAF’s airstrikes in Balakot, a disunited Opposition’s vision to win a majority in the Lok Sabha might turn out to be a ‘mirage’.